Let's Play! Filled with fun, exciting wholesome games for boys. Children will have fun with this title for hours on end! This title is a great entry point for young children who want to get into the world of casual videogames. By keeping the titles fun and simple, while providing a challenging and rewarding experience, children will be able to gain a wholesome experience. It's like carrying around a closet full of family fun games that you can take with you anywhere! Fun For Boys: An assortment of mini-games specifically made for boys. Wholesome Mini-games: With over 12 mini-games that bring out your child's talents, this title will keep your little one's preoccupied for hours. Great Entry Point: Aimed at parent's who are conscious of the plethora of inappropriate content for children, this title aims to give child and parent a great alternative into the world of casual videogames. 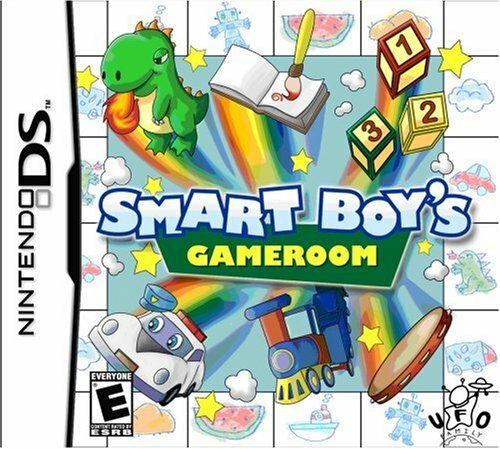 Nintendo DS Functions: Using the functions of the DS, your child can interact with the games, bringing them into the world of learning and fun.